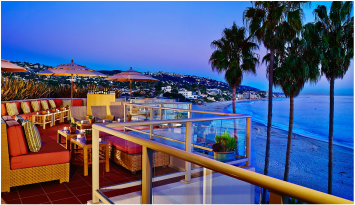 at the cliff side "Inn @ Laguna Beach"
renew and restore your inner peace and well being. with and revitalizing your soul. Join Ann & Mary, as they guide you through exercises and experiences that will empower you to take action and make decisions that will bring lasting peace, joy and resilience to your daily life! REGISTER BEFORE Feb. 18th FOR $50.00 OFF PER PERSON. ﻿Ann Mincey-Jetton- Author and President of StarShine Systems. the spirit of giving and sharing. Spending time with Ann is a life-changing and inspiring experience. Mary Wilson- Founder, Wilson Educational Productions INC. Started by Mary in 2006, after many years as a beauty industry executive, REJUVENATION Mind Body Spirit is dedicated to providing life-changing and inspiring retreat programs that promote wellness, relaxation, reflection, and rejuvenation. Mary, is a Yoga Alliance Certified (200 hour) Teacher and is an avid cyclist. She is passionate about helping other create their very best life. ​by clicking the testimonials button.